Violinist unearths mystery behind her 345-year-old violin | LEARN TO PLAY THE VIOLIN FOR FREE! 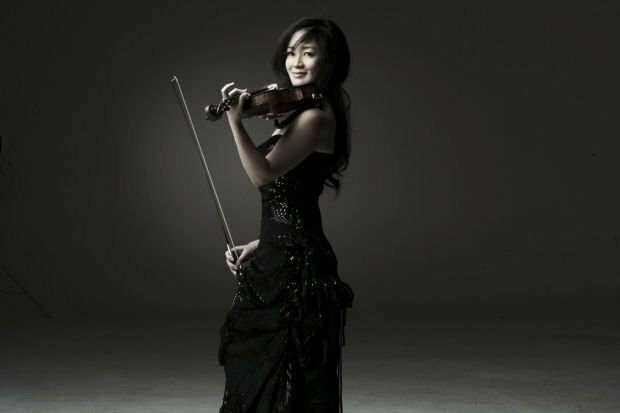 Violinist Chee-Yun, a last-minute replacement as soloist with the TSO in 1994, returns to Tucson Friday and Sunday. She will play her priceless 1669 Francesco Ruggieri violin. Chee-Yun plunked down a small fortune for her 1669 Francesco Ruggieri violin, an instrument whose provenance was a mystery. The seller offered no list of violinists who had played it. There were no mentions in history books, no trail of published reviews to hint where the violin had been before she bought it in 1991. “I got it appraised by a world-renowned violin appraiser … and he told me, ‘In my lifetime of appraising, numerous, thousands of violins, I’ve never seen an instrument survive all these years without any wear and tear. It almost makes me think that it might be a fake, but it’s not’,” the South Korean-born violinist recalled last week from a concert stop at Bethesda, Maryland’s Strathmore arts center. Last year, she learned why her violin was in such pristine condition: it might have been buried with its owner. This entry was posted in News and fun and tagged 1669 Francesco Ruggieri, Chee-Yun, mystery, violin, violinist. Bookmark the permalink.